Navitas Naturals is a brand that I have wanted to try for a long time. I have seen it on many other blogs and the products were so unique that I needed to get my hands on some. 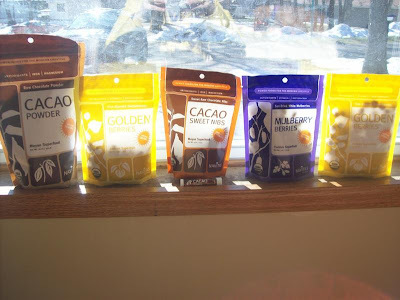 I was sent some golden berries, cacao powder, cacao sweet nibs, and mulberries. I have had dried mulberries before and they taste pretty good. I never had even heard of a golden berry and was impressed. They are tangy and chewy and very different from anything else that I have had before. The cacao nibs were surprisingly sweet and I will use them to make chocolate chip cookies soon. I have not tried the cacao powder yet but plan to use it in my oatmeal along with some peanut butter. 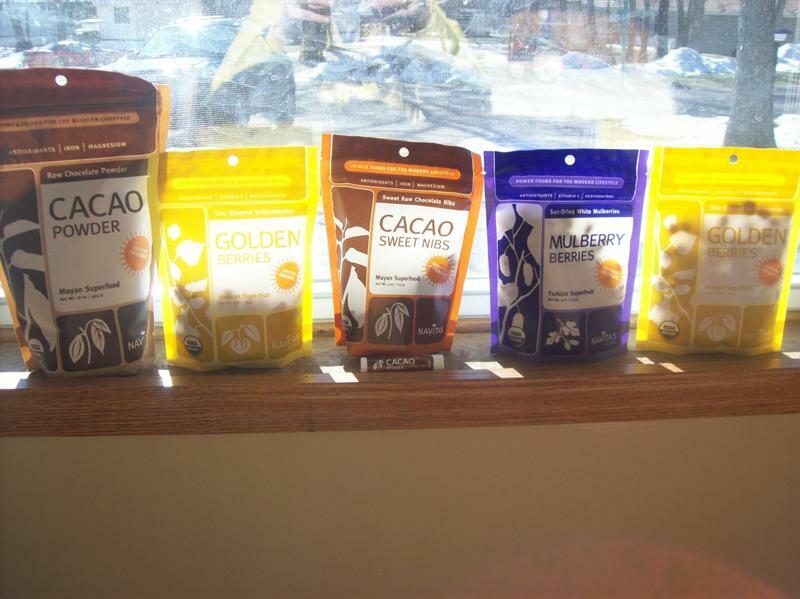 The company also sells many other healthy products like maca powder, goji, flax, coconut oil, stevia, etc. Considering that the products are mostly specialty products, they are quite a good deal. Try some today! I'm Maureen and I am following you....Found you on Welcome Wednesday...Please check out my blog!